Maps are used to share details of a large geographical area, so they are usually printed in a large format. This is true whether the map is designed to be hung on a wall or folded into a portable size. Custom-printed wall and folded maps are used by a variety of organizations, including businesses, schools, park departments, event and project planners, utilities and government agencies. Some maps are used to share information with the general public while others are designed to share information within the organization. Large format map printing requires specialized presses that can handle very large sheets of paper. Plus, if the maps are to be folded down, additional equipment is needed to apply a series of accordion and parallel folds. It is the need for special presses and folding equipment that explains why relatively few printers are able to produce large maps. If you need large maps printed, Formax Printing Solutions can assist you. We can print custom 1-sided or 2-sided maps to your exact specifications, up to 50” x 72” in size (250 piece minimum). 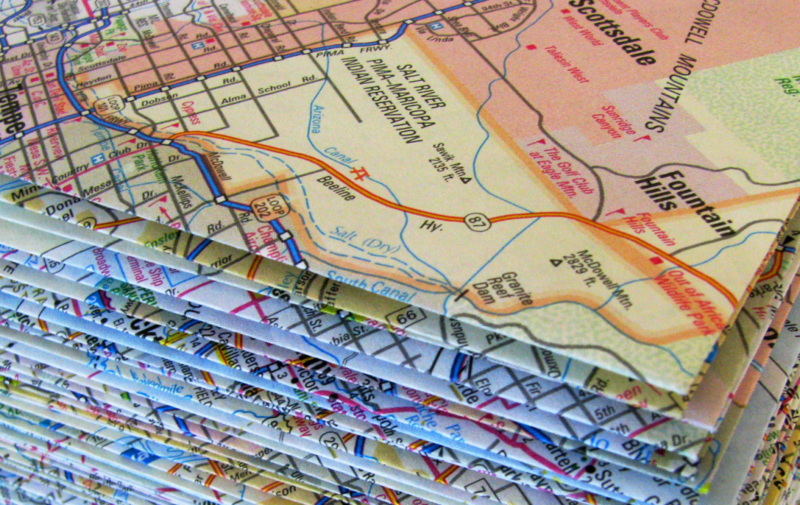 If you choose, we can also fold your map down to a compact and easy-to-handle size. Just give us a call at 866-367-6221 to discuss your map printing project in more detail.